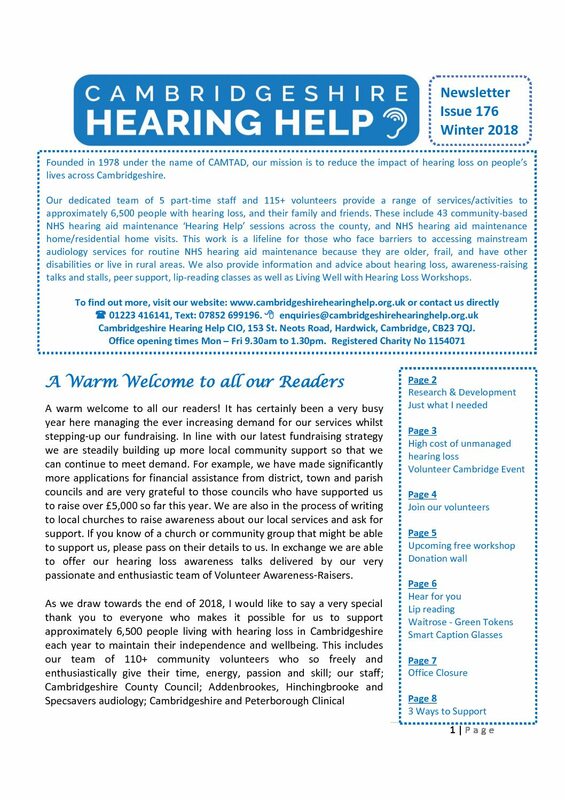 Welcome to Cambridgeshire Hearing Help. 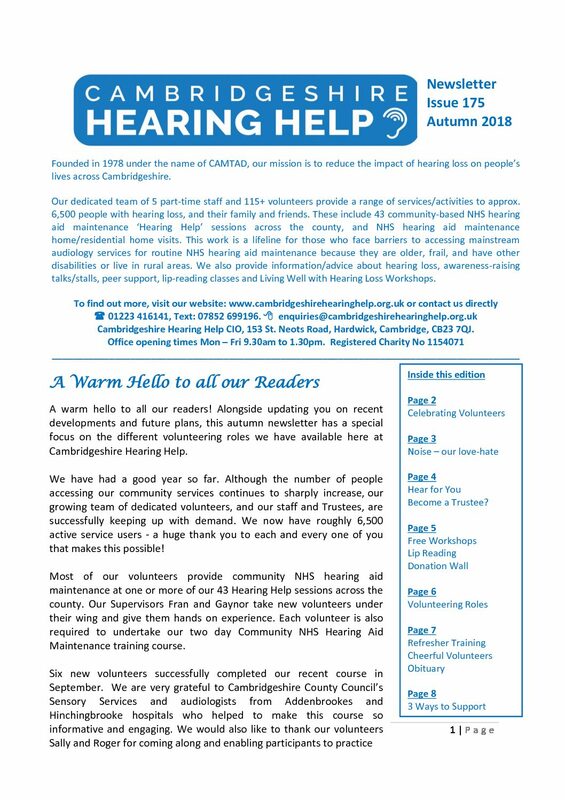 Founded in 1978 under the name of CAMTAD, our mission is to reduce the impact of hearing loss on people’s lives across Cambridgeshire. 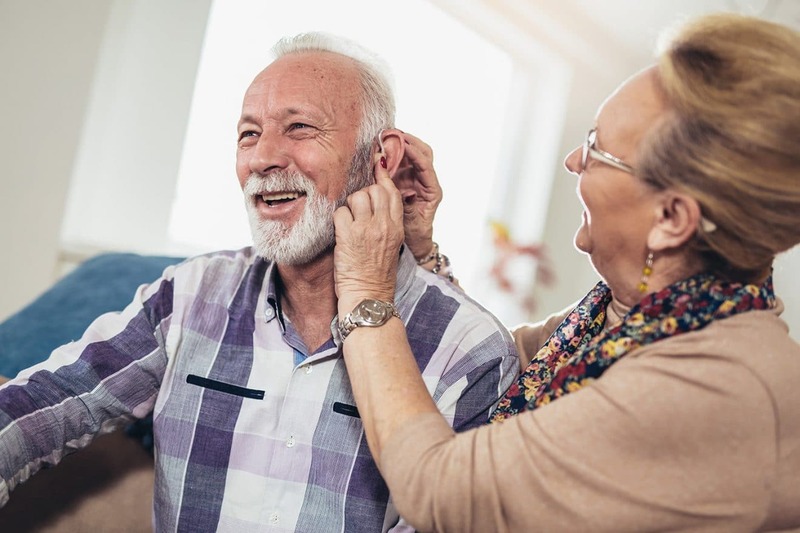 Our dedicated team of 5 part-time staff and 115+ volunteers provide a range of services/activities to approximately 6,000 people with hearing loss, and their family and friends, each year. Support us by taking part in our Grafham Water Sponsored Safari Walk at 10am on Sunday the 12th May 2019! Click here for more information. 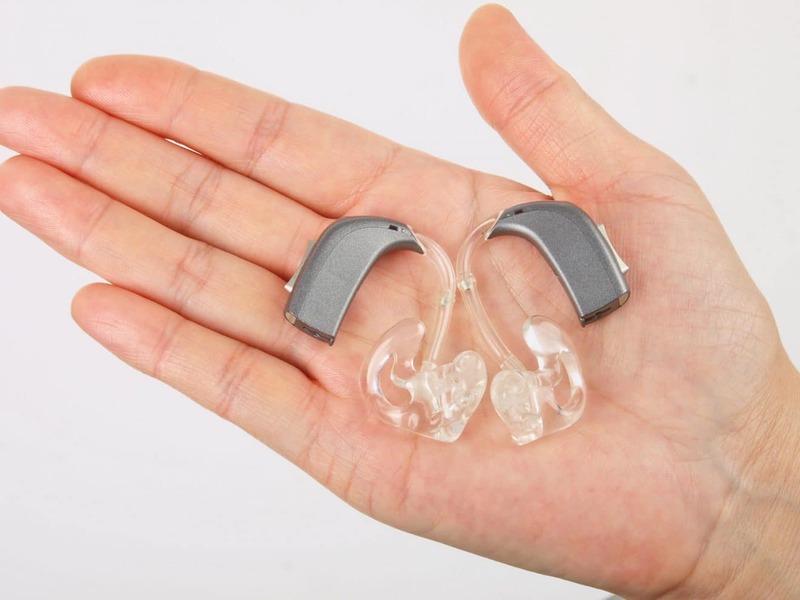 If you are housebound or living in a residential home, we can clean and re-tube your NHS hearing aids, and supply you with NHS hearing aid batteries, in your own home. Find out how to get in touch with us. Our volunteers are the backbone of our organisation and we offer comprehensive training and a wide range of highly rewarding volunteer roles. Find out more about the opportunities available. We run free lip-reading classes in Cambridge and signpost to other lip-reading classes in the county. 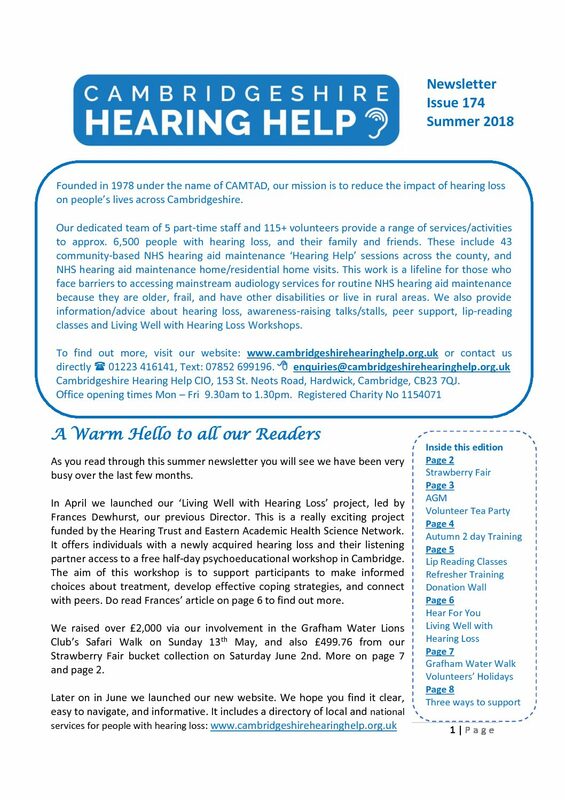 We also run free ‘Living Well with Hearing Loss’ workshops in Cambridge for adults who have a newly diagnosed hearing loss. Find out more. 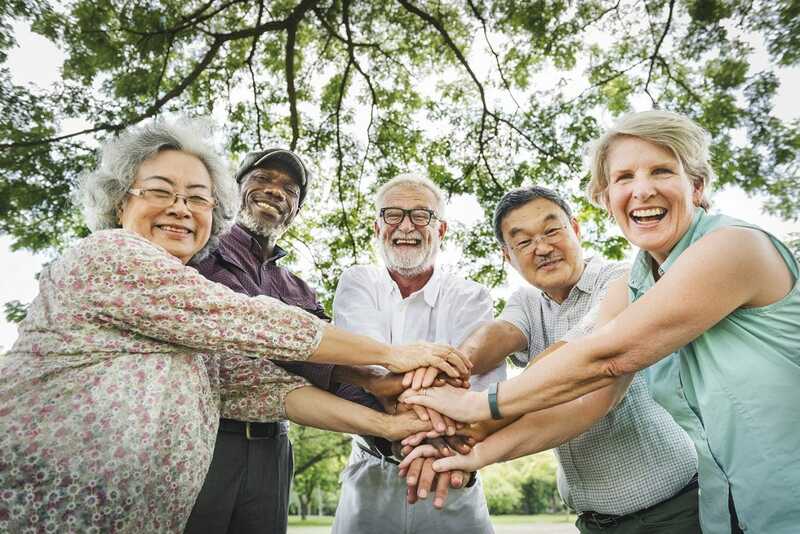 We offer peer support and social meets to help you cope better with your hearing loss and feel less isolated, and signpost to other similar groups/activities in the county. Find out more. 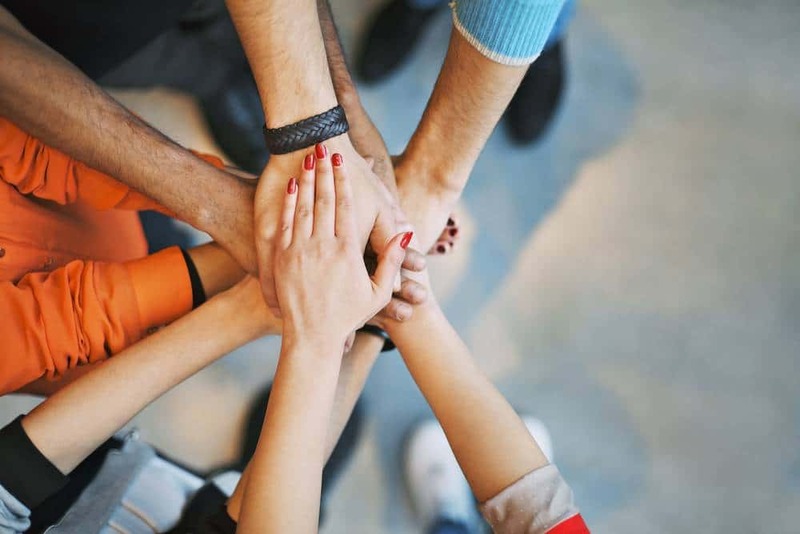 We rely on support from individuals, community groups, companies, charitable trusts and foundations to keep our services running. 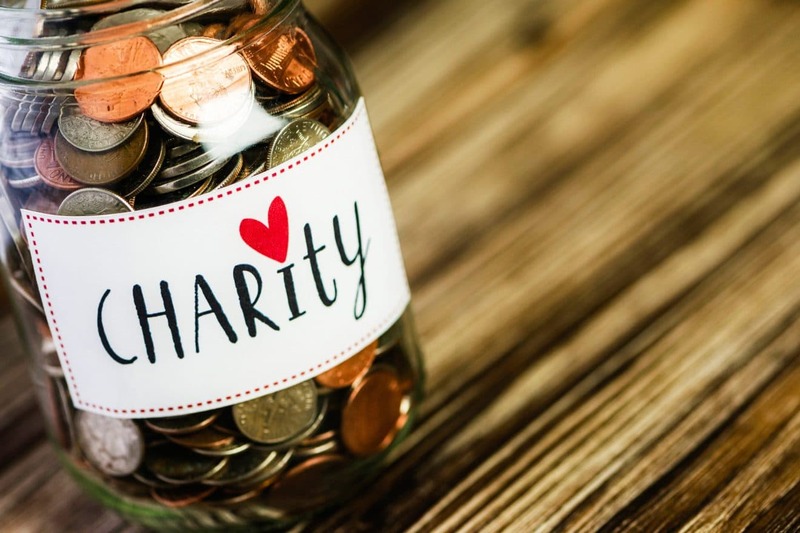 Discover ways you can support us, including taking part in a sponsored event, making a one-off or regular donation, or leaving a gift in your Will. 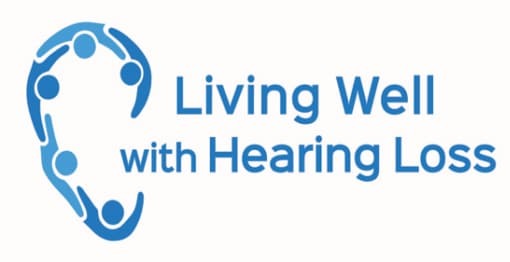 For any enquiries regarding Living Well with Hearing Loss please contact us on [email protected] or phone on 01223 849798.